On September 12, the Healthcare Information Committee of SW Virginia held a Healthcare Information Forum. In our tiny region of Virginia, all insurers had pulled out of the ACA, and there were many, many concerned and upset people in attendance (Anthem has since returned to the ACA market). One particularly informative speaker was Dr. Christina Dalton, shown above, who is a Wake Forest University Healthcare Economist. I volunteered to broadcast the event live on Facebook since many affected citizens couldn’t get there. Held in an old courthouse in Independence Virginia, I was concerned about outbound bandwidth. When I got there and ran Speedtest from my notebook, I learned that my fears were well founded – the courthouse’s upload speed hovered about 400 kbps. Clearly insufficient for a 720p stream. Fortunately, I had thought ahead and asked LiveU to send a Solo unit out with a couple of modems. I had worked with LiveU at Streaming Media East with fabulous results, but that was via Ethernet supplied by the conference. In this case, 4G was my only option. I booted the unit and one of the modems got no signal, but the other found a Verizon tower that sustained about 4 Mbps outbound bandwidth without a drop for the complete 2-hour event. As the image shows, 113 people (and counting) have viewed the video, most I’m sure locals concerned about their healthcare coverage. I’d like to think that at least one person from Anthem was watching, and saw the emotions of those whose coverage was in doubt. At times, healthcare seems like an abstract issue bandied back and forth on CNN and Fox News by well-paid newscasters who no doubt have great health insurance. Here in the sticks, it’s a life and death issue, as many participants at the forum expressed. 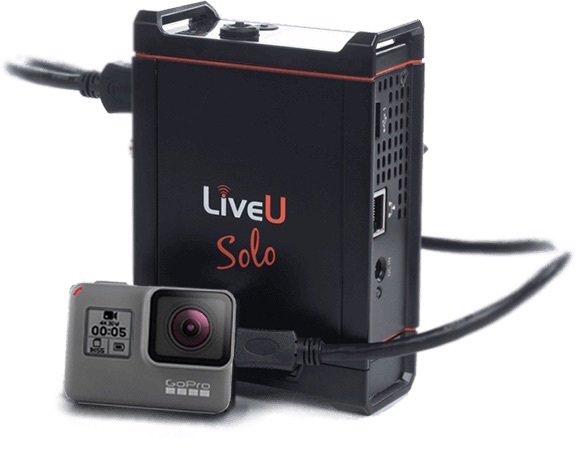 With LiveU’s help, I was able to capture that and broadcast it to the world. Back to the Solo. I’ve used the $1,499 twice now, both times with fabulous results. If you’re looking for an encoder/cellular bonding unit for live event production, I recommend it wholeheartedly. And thanks, LiveU, for sending the unit so I could broadcast the event.